Heavy rainfall in some of the main growing areas during the second half of June, has caused significant damage to the crop, with losses estimated at 30% or even higher in some regions. 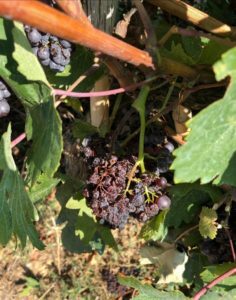 Due to the delicate skin of Currant grapes, the berries have absorbed the moisture following the rain, causing some of them to expand and split, meaning that many berries have been lost, as they have fallen from the bunches. 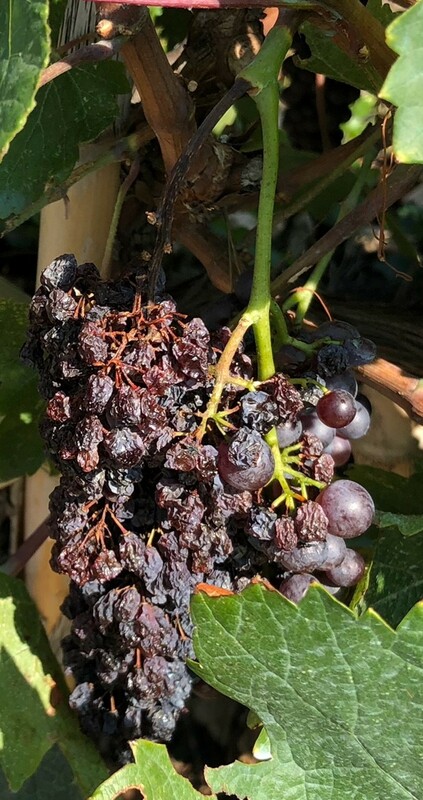 Also, some of the berries on that affected bunches have shrivelled, meaning that they are light in weight and so will be removed by the aspirators during processing or during winnowing, prior to processing at the factory, in the case of Vostizza fruit. Fortunately, there are no signs that mould has developed. 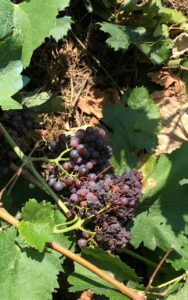 Testing of fruit taken from vines of different areas in recent weeks, have also shown no issue regarding presence of Ochratoxin A. Ongoing extensive testing is being completed, by The Aeghion Union, and this will continue as the harvest commences additionally for incoming raw material, as well as for finished product as usual. During our visit this week, there were further minor showers. The forecast for the next 7-10 days is generally good, however rain is expected today. Any further rainfall could have a catastrophic impact upon crop quantity and quality, at this critical stage. Therefore, until the situation in clearer, packers are extremely reluctant to offer, even for early shipment, particularly as there is little or no carryover of unsold stock from the 2017 crop. Assuming no further issues during drying, we expect opening prices for 2018 crop, to be at similar levels to closing prices for 2017 crop. In view of the upturn in raw material values, driven by the reduced acreage following years of grower dissatisfaction with prices, an increase in total crop volume was anticipated this season, towards 20,000mt Unfortunately, however, whilst it is difficult to calculate the impact of the adverse conditions on the crop size, the total may well be no higher than for the 2017 crop (around15,000mt).